ARP's Starter Bolts feature small diameter heads to make accessibility more convenient. These starter bolts are made from Custom 450 stainless steel material that is nominally rated at 180,000 psi and substantially stronger than Grade 8 hardware. 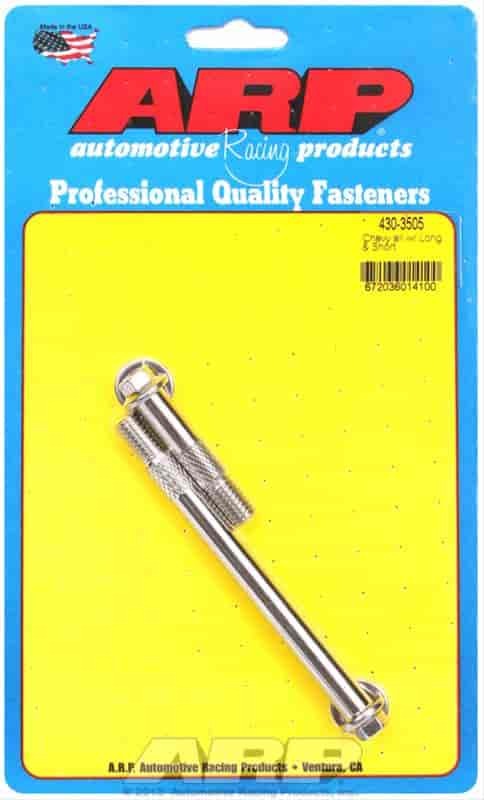 ARP stainless starter bolts are 100% maintenance free and include standard shank knurling where applicable. Come complete with washers where required. Does ARP 430-3505 fit your vehicle?